Hear your music exactly as the musician intended. 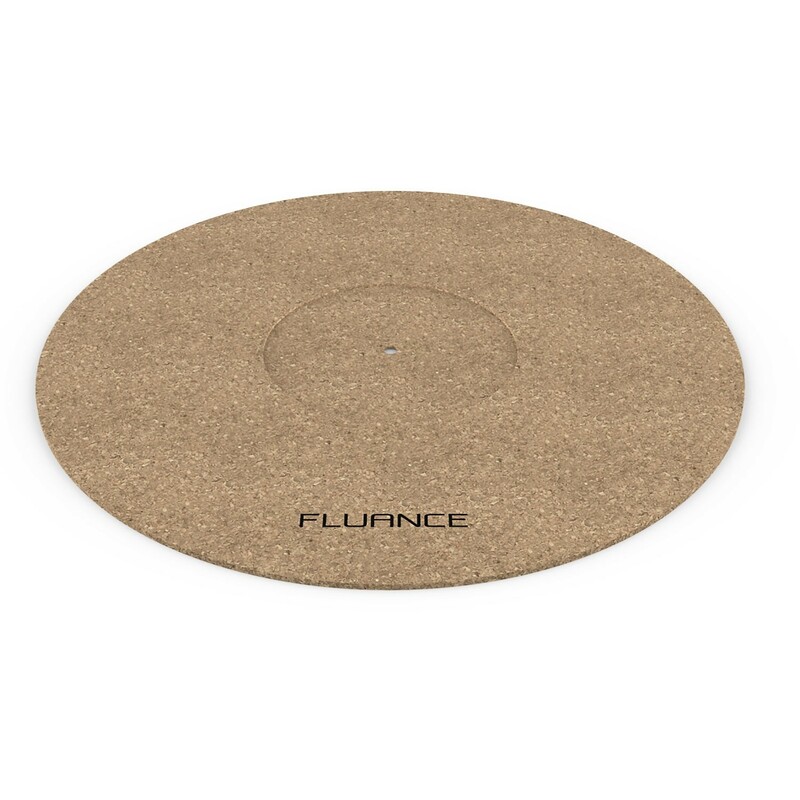 Made with A grade cork, the Fluance Cork Turntable Mat is the final touch for your record player to achieve a pure analog audio experience. By allowing the vinyl record to remain isolated from unwanted platter micro-vibrations and noise, this cork mat enhances audio detail and improves mid and low bass performance for high fidelity playback. Especially recommended for metal platters. The 0.12" (3mm) thick mat reduces static due to the insulating properties of cork material (requires turntable to be grounded). This cork mat is the perfect upgrade from a standard felt mat that has a limited ability to dampen, and prevent static and dust build-up on your records (requires turntable to be grounded). Not only is this compatible with all Fluance turntables, you can also easily place this 3mm mat on all standard 12” turntable platters. The mat will conform to your turntable's spindle. Included in its design is a 0.5mm record label recess in the center allowing your vinyl records to lay perfectly flat and make full contact with the mat’s surface. I originally purchased this to run on an Audio-Technica AT-LP60 before I upgraded to the Fluance RT83, which this now lives on. I found the cork mat to be a good upgrade over the felt one that was included with my AT-LP60. It definitely cut down on static cling and the vinyl sat nice and flat on the platter. I've not compared it to with the rubber mat that shipped with my RT83, but the cork mat is great on there as well. Looks handsome to boot. I'd recommend this to folks who are looking to extract some slightly different sound from well-listened vinyl, or just to replace an aging mat that's seen better days. Top quality, quick shipping, classic Fluance.